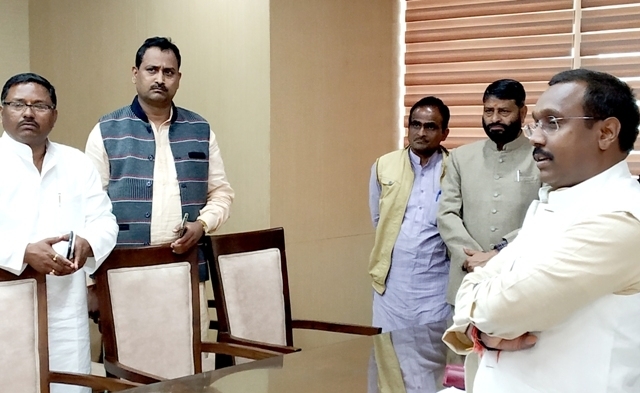 Bhopal: Minister for Panchayat and Rural Development Kamleshwar Patel has said that People’s satisfaction is the first priority of the state government. Negligence of any kind will not be tolerated in this. If corruption is done by my relatives, they too will not be spared. Corruption will not be tolerated at any level. He further mentioned that public representatives should enhance their activeness in rural areas. This was said by Patel during the discussion with the representatives of Panchayat Raj, who came to meet him at Mantralaya. Minister Patel stated that government staff and panchayats’ representatives should do works of public welfare in coordination. He mentioned that about Five crore 25 lakh people of the state dwell in rural areas and to bring improvement in their standard of life is state government’s priority.